In early 2017, the White House’s administration’s budgetary draft recommended the Environmental Protection Agency start “developing legislative options and associated groundwork for transferring ownership and implementation of Energy Star to a nongovernmental entity,” generating concern over the future of the program. Founded in 1992, the EPA’s Energy Star program has been influential in advancing energy efficiency within the built environment. As commercial buildings and plants account for nearly half the country’s energy use and generate substantial emissions, the program was expanded to include an energy performance rating system for buildings and facilities, providing a means to track such performances with its free online Portfolio Manager tool. Benchmarking is determined by comparing buildings nationwide comprised of the same primary use, and data comes from the Commercial Building Energy Consumption Survey. Today, more than 450,000 commercial buildings are benchmarked with Energy Star with several studies showing that energy-efficient buildings, including Energy Star certified facilities, may generate higher rents, higher occupancy rates, increased sales prices and stronger risk mitigation. Energy Star benchmarking ordinances. To increase transparency and incentivize efficiency, many local and state authorities began requiring their building stock to track and decrease energy usage. As of September 2017, 29 cities nationwide, including Boulder and Denver, rely on Portfolio Manager as a foundation for their energy benchmarking and transparency policies. 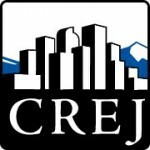 Denver’s 2007 Executive Order 123 required all new municipal buildings be constructed and designed to earn Energy Star certification and ordered existing city owned-and-operated buildings to track and report annual energy use via Portfolio Manager. Newer initiatives call for decreasing energy consumption of commercial and multifamily buildings by 10 percent by the end of 2020, and double that in the following decade. To do so, in 2017, the city began requiring buildings over 50,000 square feet use Portfolio Manager to annually benchmark their energy use and report their Energy Star score; buildings over 25,000 sf must start in 2018. Buildings failing to comply after a certain grace period face a $2,000 penalty. Denver also hosts an ongoing voluntary benchmarking and resource reduction competition called Watts to Water. Applicable buildings participate by tracking and reporting energy and water consumption in Portfolio Manager, measuring reductions against a 2010 baseline. Buildings with the greatest reductions in energy and water-use intensity at the end of each year are awarded and recognized for their efforts. 20,000 sf or larger in 2020. Survey results. According to the EPA, Energy Star helped Americans save $34 billion in energy costs in 2015, while costing only $57 million a year to run. On this budget, Energy Star offers one of the most widely used tools among professionals seeking to monitor and measure their buildings’ energy consumption for free. 78 percent would be concerned if Energy Star funding was reduced/removed. 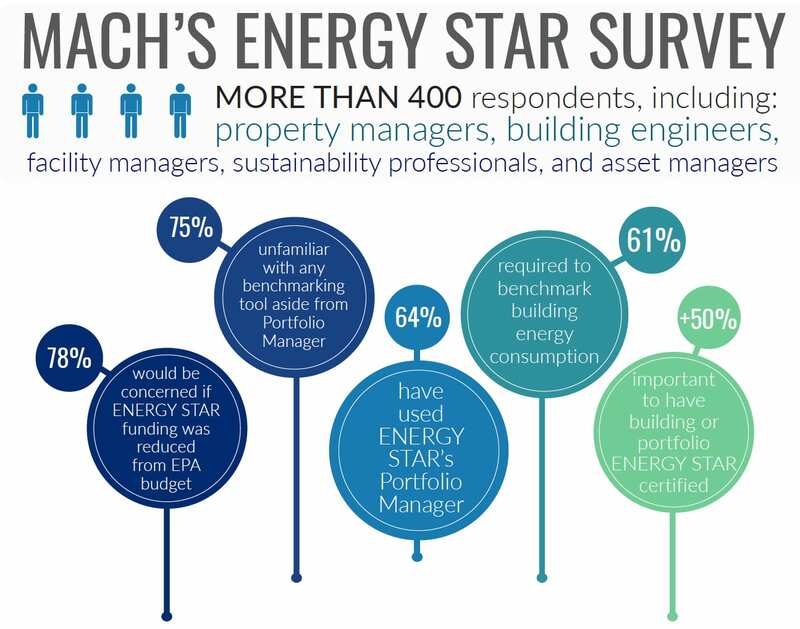 75 percent were unfamiliar with benchmarking tools aside from Energy Star. 64 percent reported Portfolio Manager usage. 61 percent were required to benchmark their facility/portfolio’s consumption. What’s next? Reduction or loss in funding for Energy Star may result in detrimental consequences to many of these ordinances. Portfolio Manager uses data from 2003, with a major update expected soon. Should funding cease, the update may not materialize and buildings will continue being measured against extremely outdated data, providing artificial and incorrect information. Continuous measurements and comparisons would be difficult, and incentives to reducing efficiency may be lost. Unfortunately, no viable alternatives to Portfolio Manager exist. 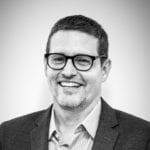 One solution could be for cities to build their own program and database, although the budget, time, manpower and infrastructure needed to take on such a project could be challenging. In this unstable political climate, the future of Energy Star still is uncertain. Without ideal alternatives, numerous stakeholders – including policymakers, building professionals and industry groups – may have to consider what the loss of Energy Star could mean for them. Featured in the January 2018 issue of Property Management Quarterly.